Step 1) Login to your account. 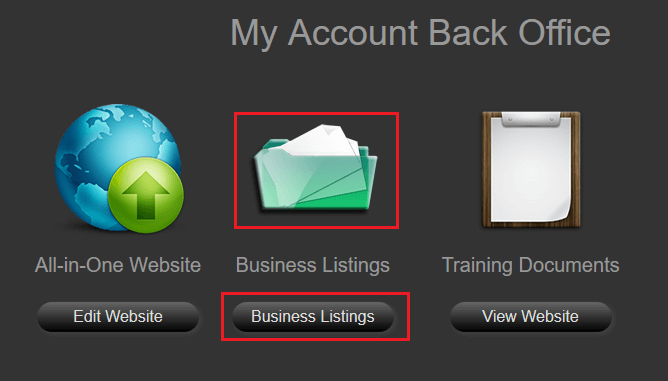 Step 2) Click on the Business Listings image or the Business Listings button. 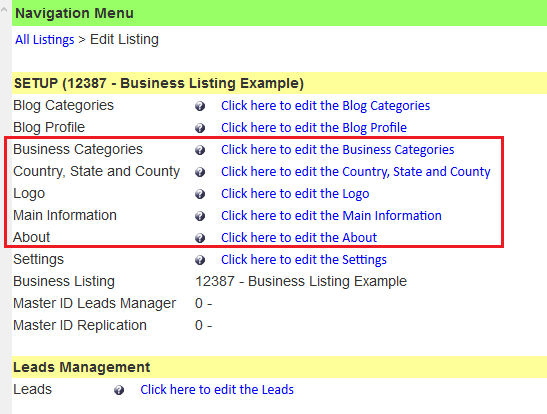 Step 3) Click on the blue 'Edit Listing' button next to the business listing you wish to update. 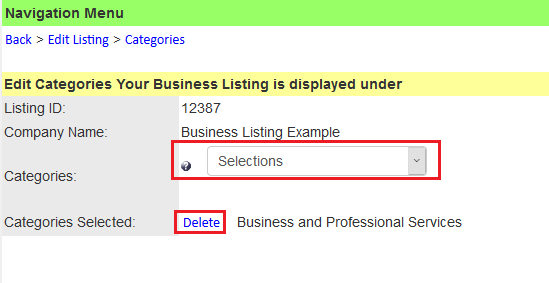 Step 5) Business Listing Categories link - Click on the drop-down menu to select additional categories your listing may be applicable to. Clicking on the category in the drop-down list will automatically add the category. To delete a selected category, click the 'Delete' link next to the Categories Selected section. 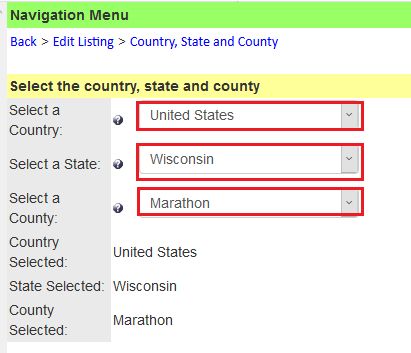 Step 6) Country, State and County link - Use the drop-down menus to update your Country, State, or County respectively. Step 7) Logo - To update your logo, click on the 'Browse...' button and navigate to the image you wish to use. Image must be a .jpg. Please keep file size dimensions to under 500 x 500 pixels. 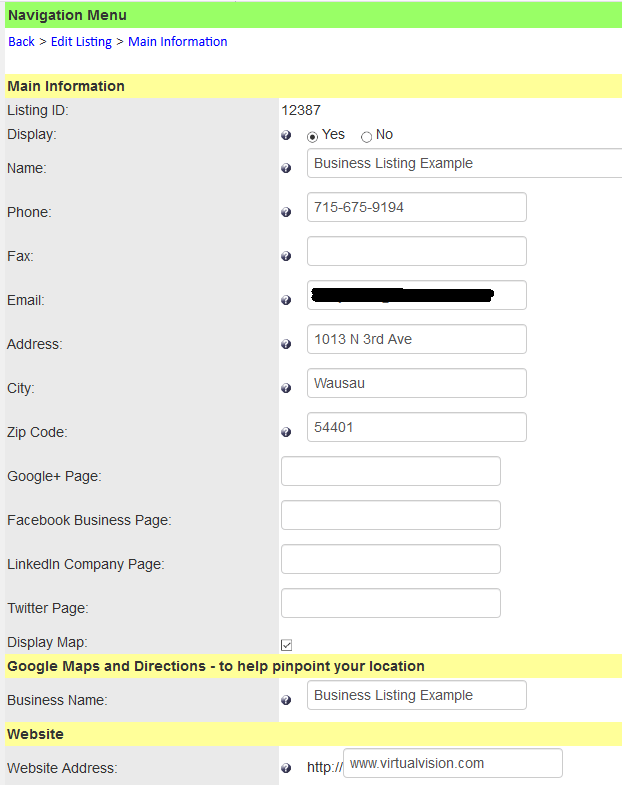 Step 8) Main Information - Here you can update your business name, phone number, email, fax, address, city, zip code, and your website URL. 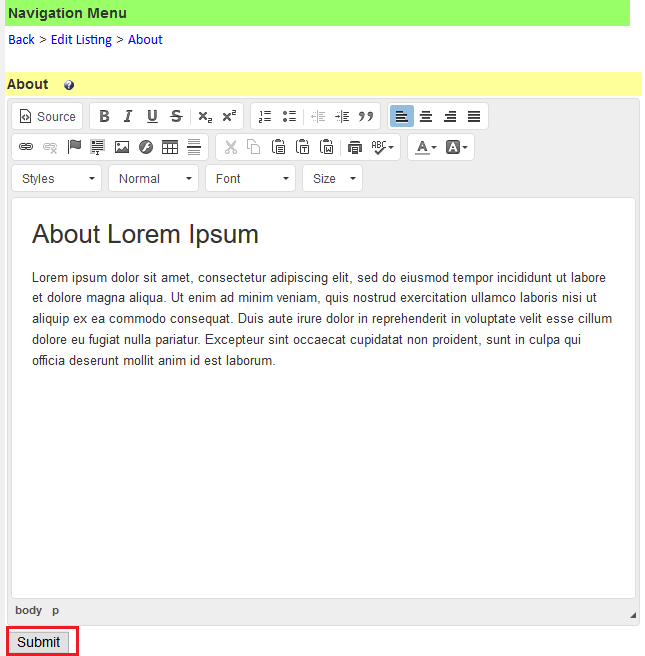 When finished click the 'Submit' the button at the bottom of the page. Step 9) About - Here you can edit the About page for your business listing which is what will be displayed when someone views your listing through one of our Business Directories.